Wally Scott passed away on Sunday, August 9, 2009. Wally represented Australia in the winning Far East team in 1968 and also in 1969. He captained the Bermuda Bowl team in 1999. Wally won the National Open Teams in 1979 and 1980, the Interstate Open Teams in 1972 and 1986, the Victor Champion Cup in 1983 and 1991, the Gold Coast Teams in 1968, 1970, 1971, 1981, 1983, 1986, the Interstate Open Pairs in 1986 and the Gold Coast Pairs in 1975. 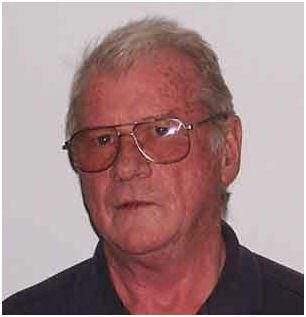 Wally represented and captained numerous Victorian Open Interstate Teams from 1970 to 2006. 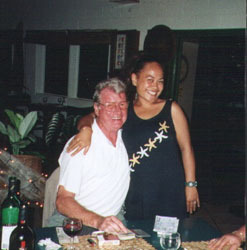 Wally with a local Rarotongan at the 2000 Oceania Congress.